Leicester City's owners have transferred the ownership of the club from Asia Football Investments (AFI) to King Power International (KPI). The Raksriaksorn family had wholly owned City through AFI and also own KPI, which is the parent and holding company of the King Power Group. There has been no change in the board or management structure. The owners have made an impact since taking over but I guess the question is why change now? The transfer of ownership raises more question than answers. Since the Thai owners have come in, the club have been loaned in excess of £50m and where that debt is now remains unclear. Vice-chairman Aiyawatt Raksriaksorn said: "This is part of our plan deliver long-term, sustainable success." The takeover has been fully approved by the Football League. 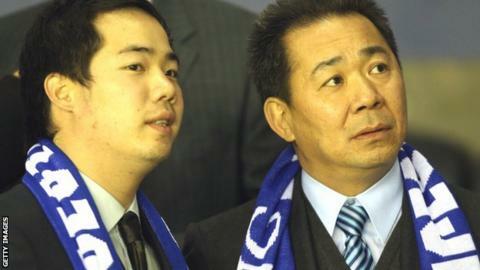 Foxes vice-chairman Aiyawatt Raksriaksorn said bringing Leicester under the direct ownership of King Power International underlined their long-term commitment. "It will be established as a core part of the group's overall interests," he said. "The last two years have been an incredible experience and we firmly believe we have the key elements in place, both on and off the pitch, to take Leicester City back to the Premier League."